Beautiful vintage signed three strand necklace and earring set by famed costume jewellery designer Stanley Hagler. 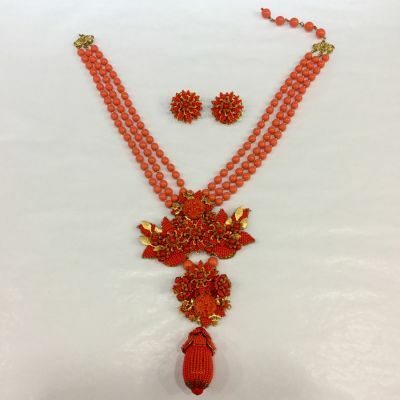 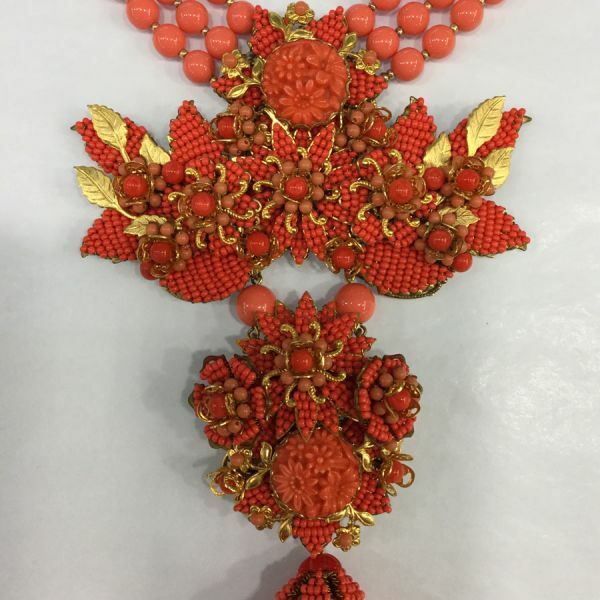 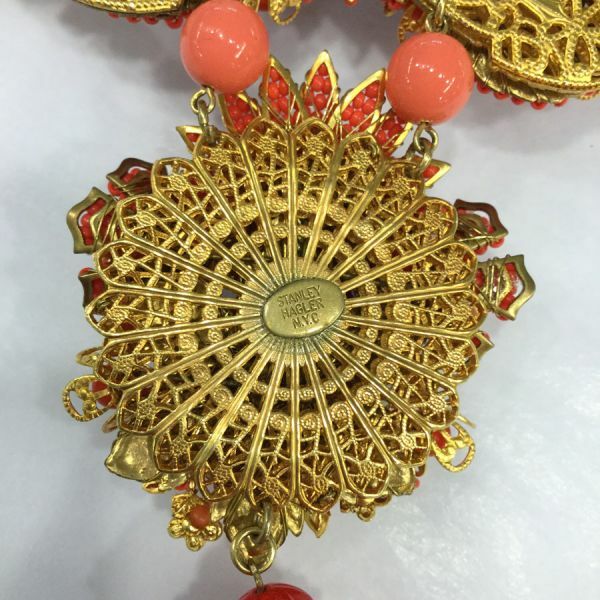 The pieces have a floral motif and are decorated with small opaque orange and coral colored seed beads, gold plated filigree ,petals and flowers findings and larger coral colored round glass beads. 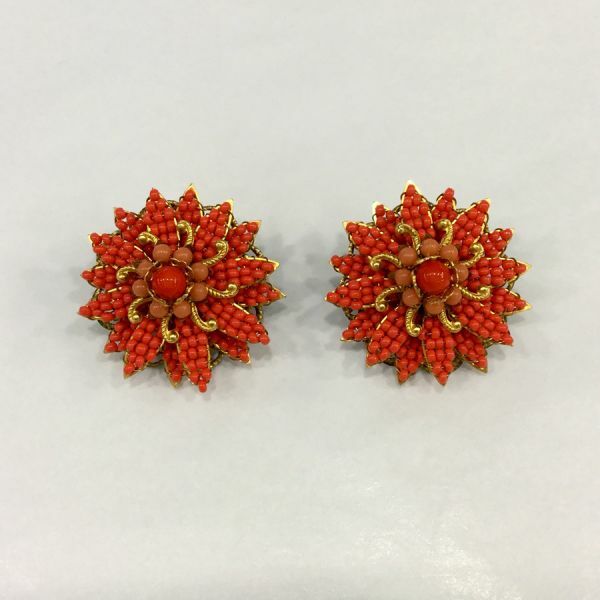 Matching floral clip earrings. 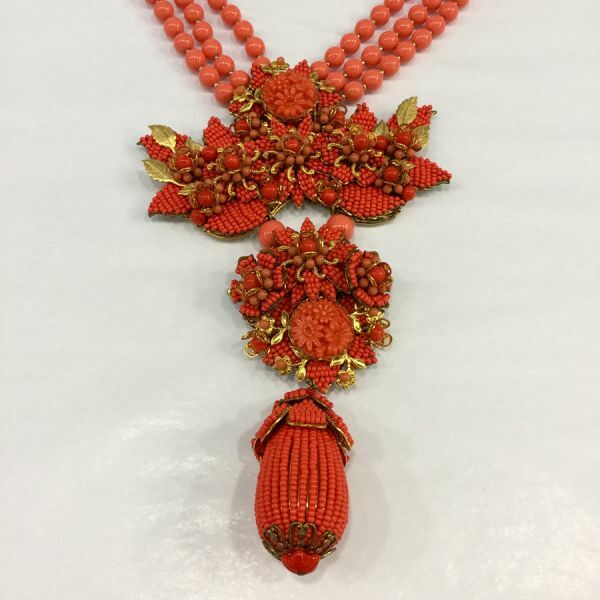 Signed “Stanely Hagler N.Y.C.” Featured in the Spring 2009 issue of Arabella Magazine.